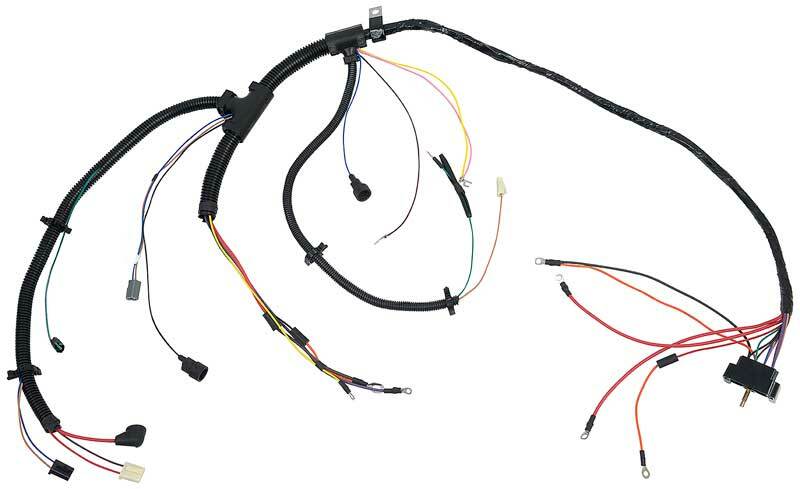 Correct replacement dome lamp harness for various applications. 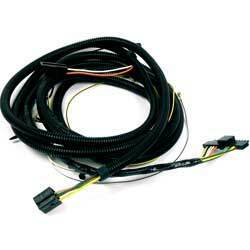 These reproduction harnesses will completely replace your dome lamp harness to restore it to proper working order. 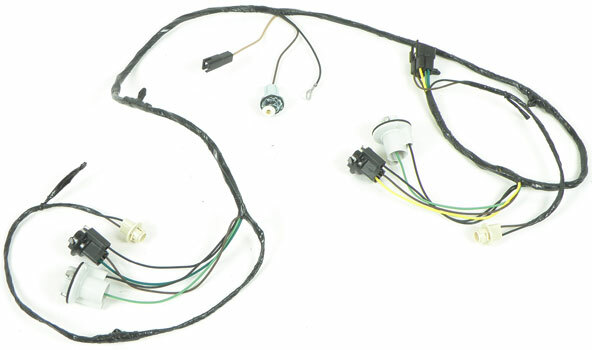 Correct replacement neutral safety switch harness for use with all 1970-1973 manual transmission Camaro models. Intermediate Firewall to Rear Frame Connector. 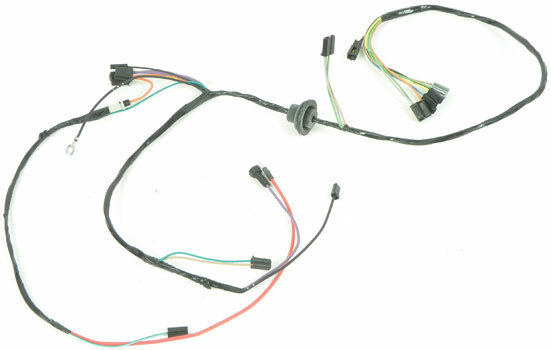 Reproduction rear body light harnesses produced to exact factory specifications including the correct color wiring and factory connectors. 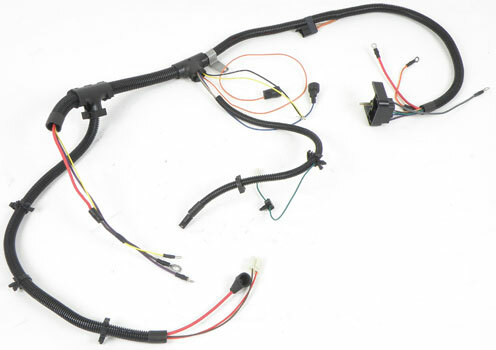 Correct replacement dome lamp harness for 1973-74 Nova models. 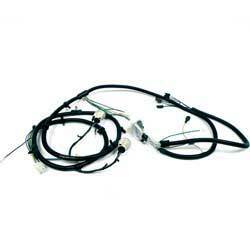 This reproduction harnesses will replace your dome lamp harness to restore your dome lamp to proper working order. 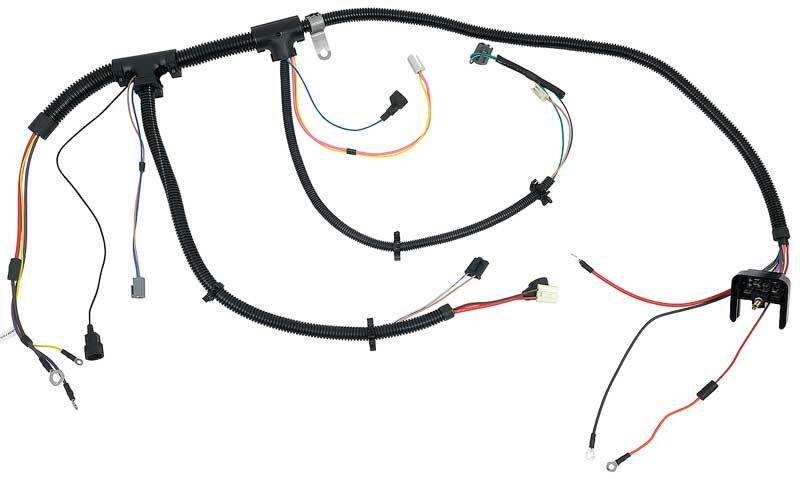 1961-74 Tachometer Harness: Whether you're reinstalling the original or adding a reproduction tachometer, then this is the harness you need! 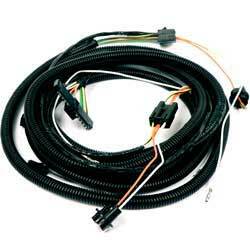 Keep your under dash area cosmetically correct with this exact reproduction harness. 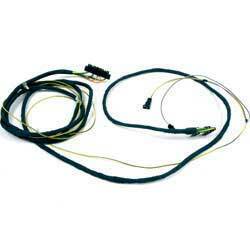 Reproductions are manufactured to factory specifications including correct color wiring and terminal ends. This assembly is used to replace the old or worn out trunk lamp on your 1973-76 models. Includes lead wire. 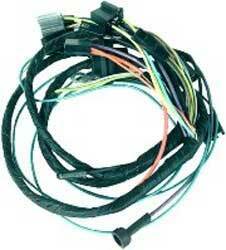 Replacement jumper wire for the commonly missing transmission control spark device switch. 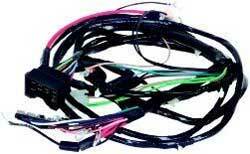 This is a correct reproduction of the original air conditioning wiring harnesses which was used on factory optional air conditioning. Note: For use with factory original air conditioning systems only. 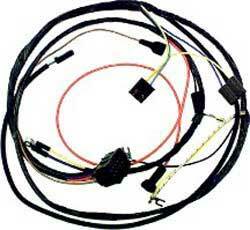 We now offer a complete reproduction of the original kickdown harness for full size Chevrolet models. The harnessis designed for use with turbo 400 transmissions. 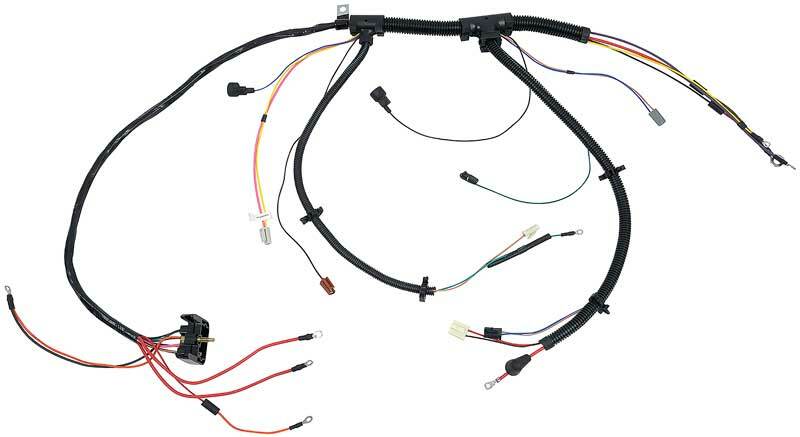 Reproduction rear body light harnesses produced to exact factory specifications including the correct color wiring and factory connectors. 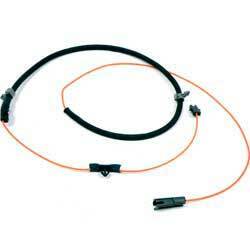 Note: LH to RH harness. 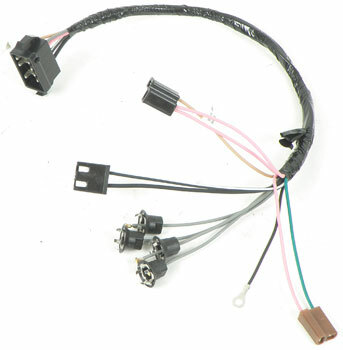 This harness adapts the "T" shaped motor connector to side by side blade type motor connector.